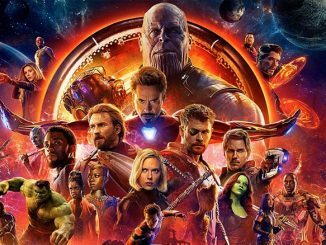 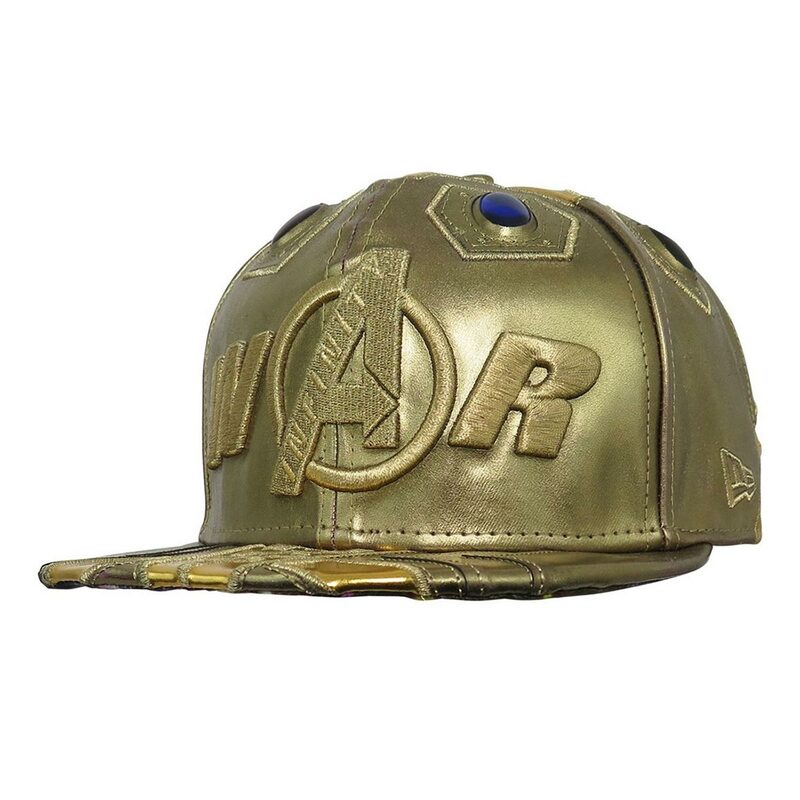 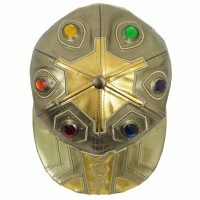 This incredible Avengers Infinity War Gauntlet Hat is perfect for Marvel fans that like to collect hats or anyone that loves to bling up to stand out in a crowd. 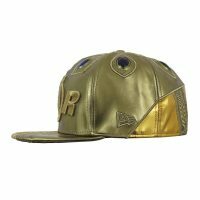 It’s a top quality New Era 59Fifty fitted hat, which means it is constructed perfect for your head size and doesn’t need any goofy adjustment strap. 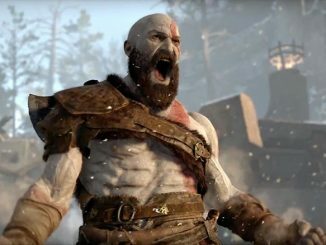 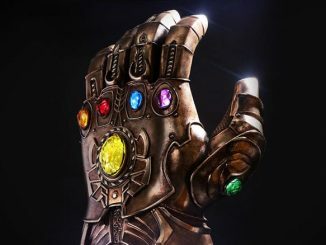 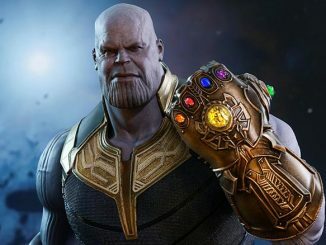 It fact, it will fit just like a glove…or a gauntlet. 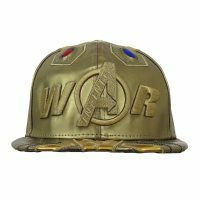 It is remarkably detailed inside and out, from both sides of the bill to the back of the hat. 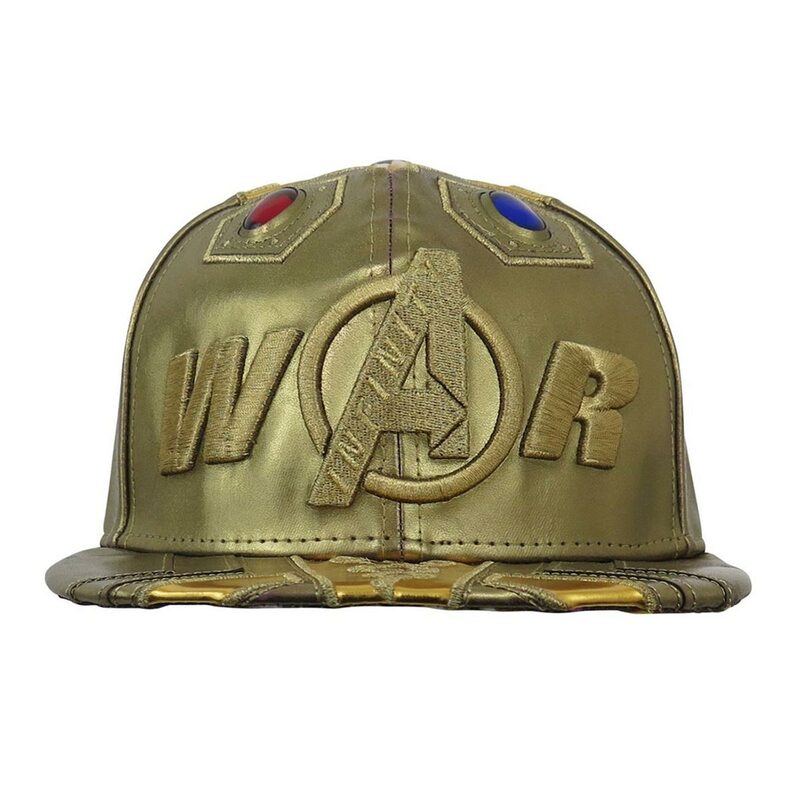 The front features thick, elevated embroidery of the Infinity War logo (look close at the ‘A’ to see “INFINITY”). 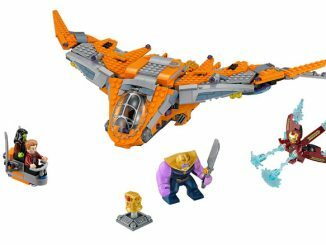 On the top are reproductions of the six Infinity stones. 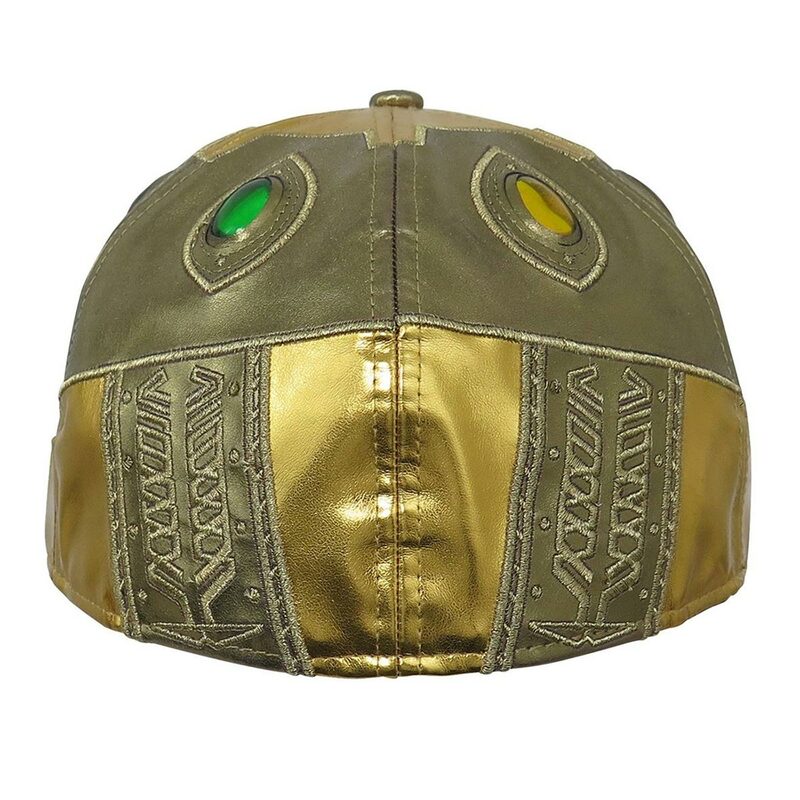 An illustration of Thanos’ Infinity Gauntlet is under the bill, while the underside of the cap has an illustration for each Infinity stone including the Marvel hero associated with it. 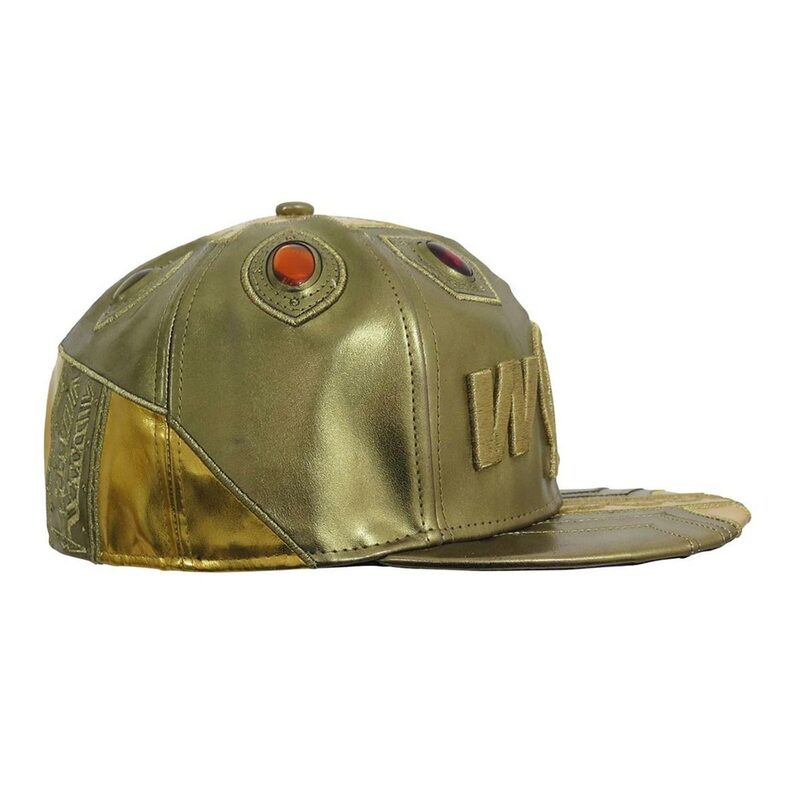 The front panel on this hat features a unique take on the captivating logo with thick, elevated embroidery. 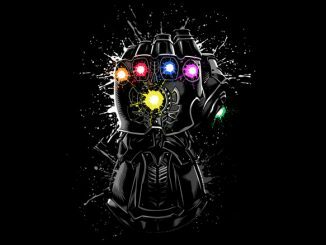 And yes, that’s the word “Infinity” resting vertically along the “A”. 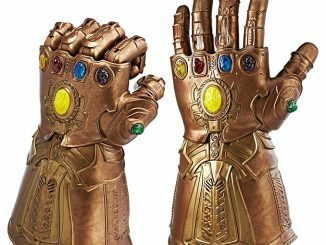 The bill is flat, golden, and immaculately stitched to simulate layered gauntlet plating. 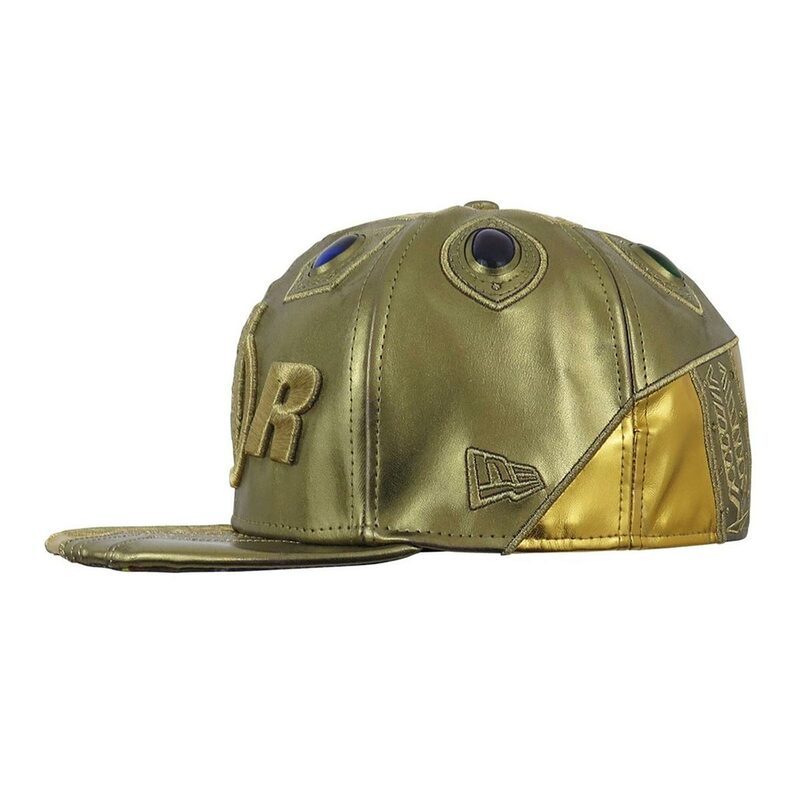 Brighter, golden appliques accent the bill with spiraling embroidery conveying long forgotten cosmic runes. 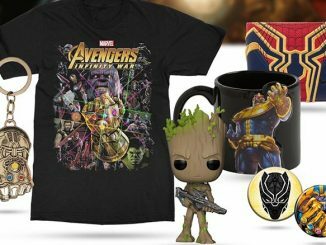 Under the bill is a glorious illustration of Thanos’ Infinity Gauntlet! 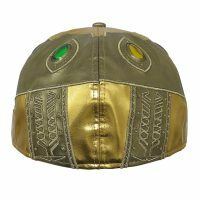 This Marvel Infinity Gauntlet hat is crowned with every single colored ingot capable of mangling reality and turning sharks into pancakes. 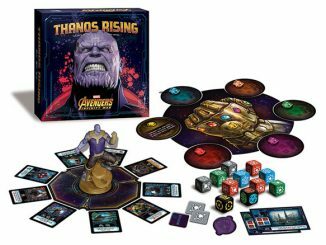 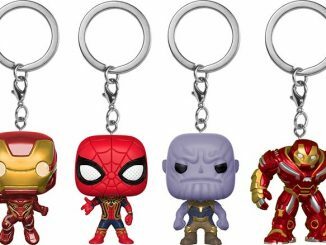 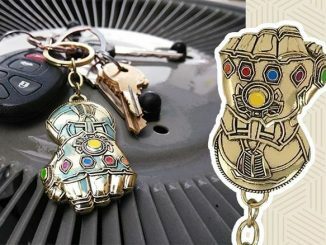 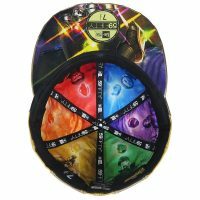 Made from a clear, hard plastic, these faux Infinity Stones are filled with full, foggy colors to convey timeless elements crafted in the super-heated forge of the Big Bang. 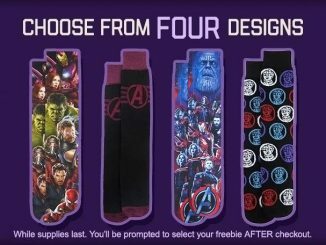 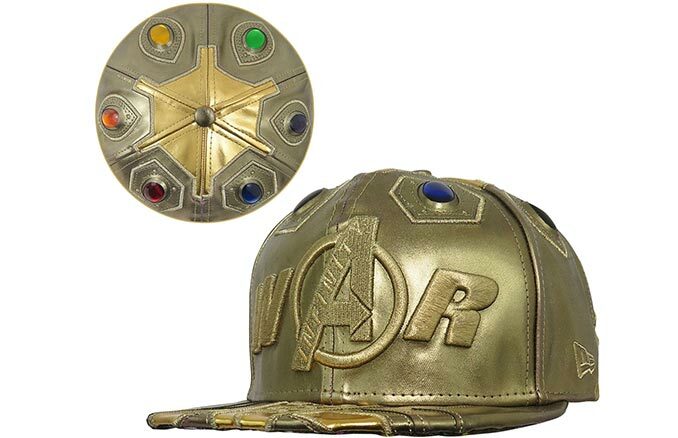 The cap’s inner lining features six blinding illustrations of each and every Infinity Stone — they’re paired with the appropriate Marvel hero who had personal dealings with said stones. 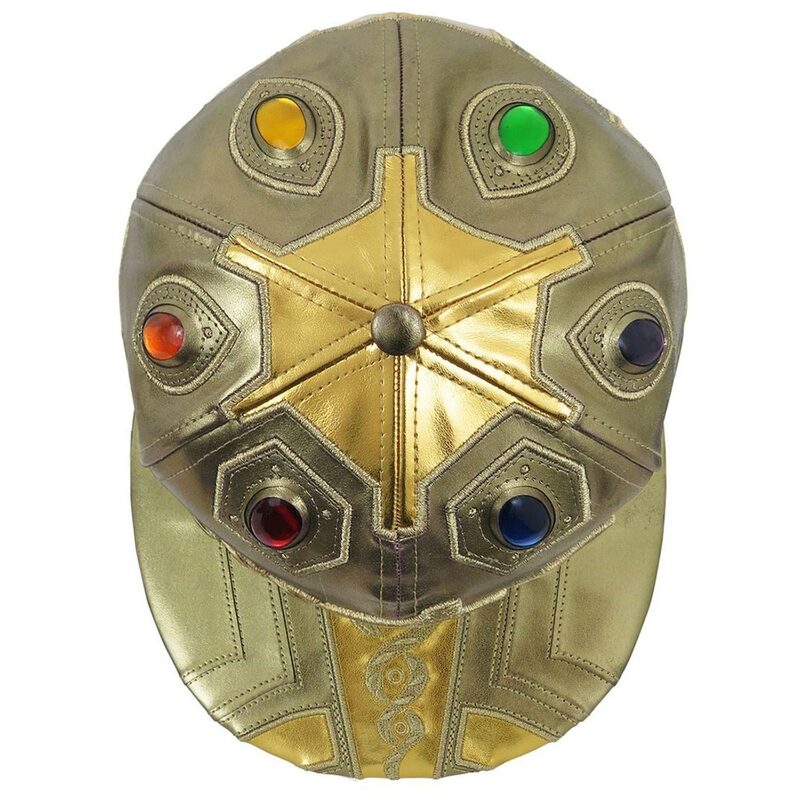 This Avengers Infinity War Gauntlet Hat as available exclusively at SuperHeroStuff where it is priced at $99.99.